Wayne Gisslen’s Professional Cooking texts have taught more professional chefs than any other book, so if you’re serious about learning the trade. then this is it. With the up-to-date 6th Edition of his classic Professional Cooking, Gisslen teaches the why’s and how’s of cooking, and leads novices through the basic principles and procedures, through to the more advanced skills. 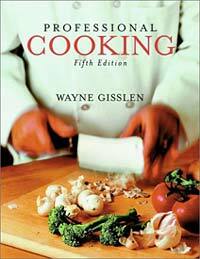 Wayne Glissen’s classic reference is considered one of the main culinary resources by instructors around the world. Detailed information on tools and equipment, mise en place preparation, basic cooking principles and techniques, and food presentation and garnishing stocks, sauces, and soups to meats, poultry, fish, and shellfish; vegetables and grains; and breads and desserts—it’s all here clearly explained in step-by-step procedures in clear language. thanks for your comment sabie,you are right this image is for the 5th edition, it is such a great cover image that we have been slow to update to the new 6th edition but will do so. The description and isbn info do pertain to the current 6th edition. 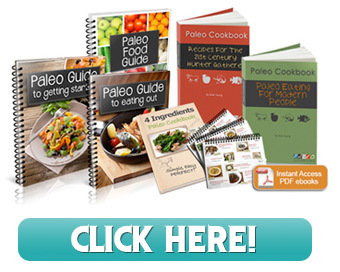 its a must for any aspiring chefs! I’ve recently gotten into cooking, but have jumped in with both feet. I have been making more than we can eat, just to see how the recipe will come out, and experimenting already. I want to know the differences between Mr. Gisslen’s 5th, 6th, and 7th (trade) and college editions, and which I should get. I plan on getting the baking volume too. Been enjoying Child’s and Hazan’s and Mathiot’s books, will Gisslen’s books make them obsolete? Thanks for any input, Paul. Have you looked at Professional Chef by the Culinary Institute of America? I’m trying to decide between it and Professional Cooking. My local bookstore has them both, but they’re shrink-wrapped, so I can’t see inside either. I did get Gisslen’s latest edition and have learned a lot. Thanks for the suggestion on the Professional Chef volume, I’ll look it up. Now to up the ante, how about: Modernist Cuisine my Myhrvold? Way beyond me, but very intriguing.